Today, businesses have more competition. The reason; one needs to attract clients, get into top results and get maximum sales, transform conversions into customers. Failing to use this approach can lead to decrease in sales. Among these, one can use any of the tools that suits the purpose. Yes, there are more of such innumerable options, one can have several touch points where one can get engaged with customers and strengthen relationships across the board. And this is one of the reasons why digital marketing is important. With this, you can have the ability to see how audiences react to your brand as well as marketing. Within few hours of launching the campaign; one can identify whether this is working by analyzing the metrics that can be seen with the analytic tools. Very soon, digital marketing will be one of the most powerful tools to promote business online and so more of the blog posts from Platinum SEO; SEO Experts Perth are generally focusing on this. Responsive Websites: Today, most of the websites are viewed on mobile devices. Even Google has now made it compulsory for people to make mobile optimized sites. So, for any business owner who wishes to develop a website must consider this thing in mind and opt for responsive websites only. This will be useful in enhancing your digital marketing strategy also as with responsiveness; the visits can increase up to 40%. Search Engine Marketing: Search engine is a web based tool which helps users to find the proper information that they are searching on the internet. Activities that are used to boost rankings on search engines are included under search engine marketing. SEM has two activities: SEO that is used to maximize the visibility among search results and paid search that includes paid visibility among search engines. The main objective is one and the same; to increase visibility. Online Display Advertising: With this type of advertising; marketers have the benefit to target audience depending on website content, geoegraphy location as well as the type of device used to view the website or surf internet. The enhancements in display marketing make it easy for marketers to decide their target audience depending on demographics as well as psychographics. Further, one can also select key performance indicators that can help you to identify whether the campaign is a success or not. Videos: An important form of digital marketing is making most use of online videos. Video advertising now can be used to spread awareness about any product or brand once the audience shows the willingness to watch the video. Appropriate video content can help you to grab maximum audience. So, make most use of online videos to promote your brands and products as well as services. 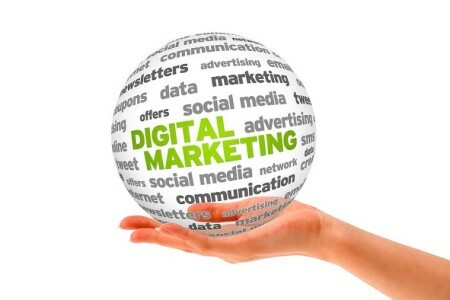 Like to learn more about Digital marketing, stay tuned with us. For any additional guidance you can get connected with our expert digital marketers.